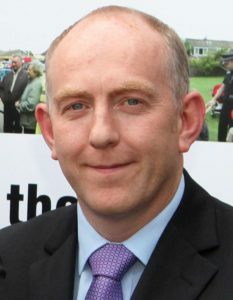 Significant reductions in acquisitive and violent crimes are being recorded in the North East thanks to ongoing efforts to ensure the region remains one of the safest places in Scotland. 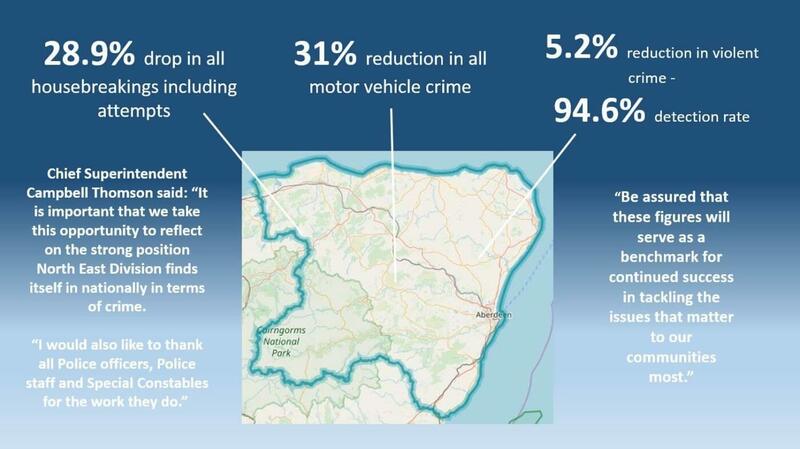 House-breakings and vehicle crime in particular have fallen significantly in the past year – with a 28.9% drop in all break-ins including attempts, and a 31% reduction alone in all crimes relating to motor vehicles. I know that these figures would not be possible without the continued support we also receive from the public. We are recording numerous successes in apprehending many of the criminals involved and recovering stolen property however it is the public who can assist us from the outset by ensuring their valuables are always secure. We are still finding that in many cases the home, garage, shed or vehicle in question has been left unlocked, giving would-be thieves an ideal chance to steal. Please continue to support our efforts by making your home security a priority. There is absolutely no place for violent crime in our communities and, in particular, needless incidents fuelled by the overconsumption of alcohol. Our officers and licensing teams continue to work closely with the North East licensed trade to implement measures to deter alcohol-fuelled crime and we also work closely with our partners to understand the often-complex root causes of violence and how we can deter it. Above all it comes down to individuals taking responsibility for their actions and understanding the consequences of behaving in such an unacceptable way. Regardless of the circumstances of violent crime, let me be clear that we will use every tactic and resource available to us to bring offenders to court. It is important that we take this opportunity to reflect on the strong position North East Division finds itself in nationally in terms of crime. I would also like to thank all Police officers, Police staff and Special Constables for the work they do. Be assured that these figures will serve as a benchmark for continued success in tackling the issues that matter to our communities most.